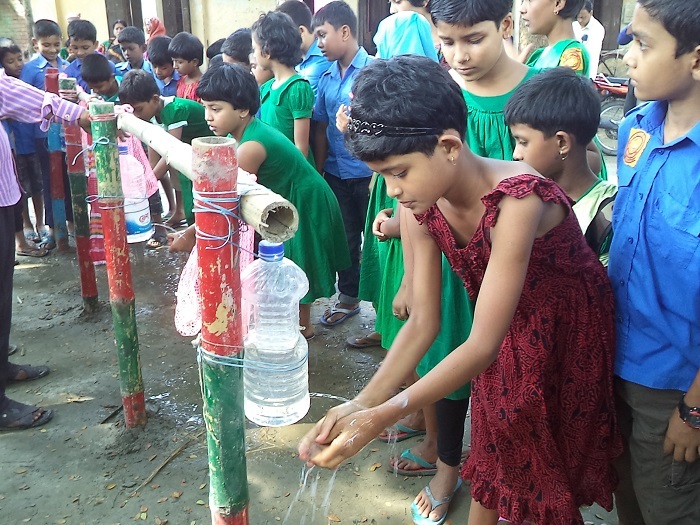 Global Handwashing Day, celebrated every year on October 15th, is dedicated to increasing awareness and understanding about the importance of handwashing with soap as an easy, effective, and affordable way to prevent diseases and save lives. 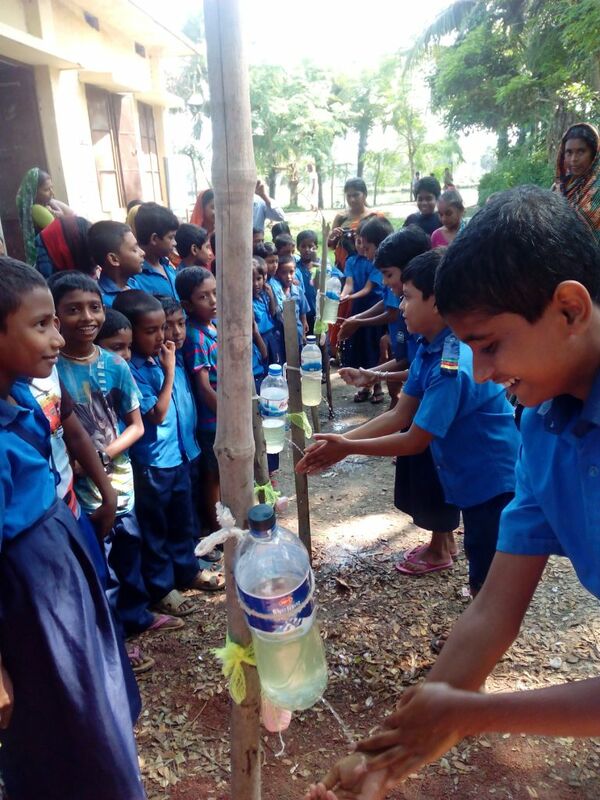 A recent study in Bangladesh that directly observed handwashing behavior found that frequency of handwashing with soap after defecation was only around 19%. 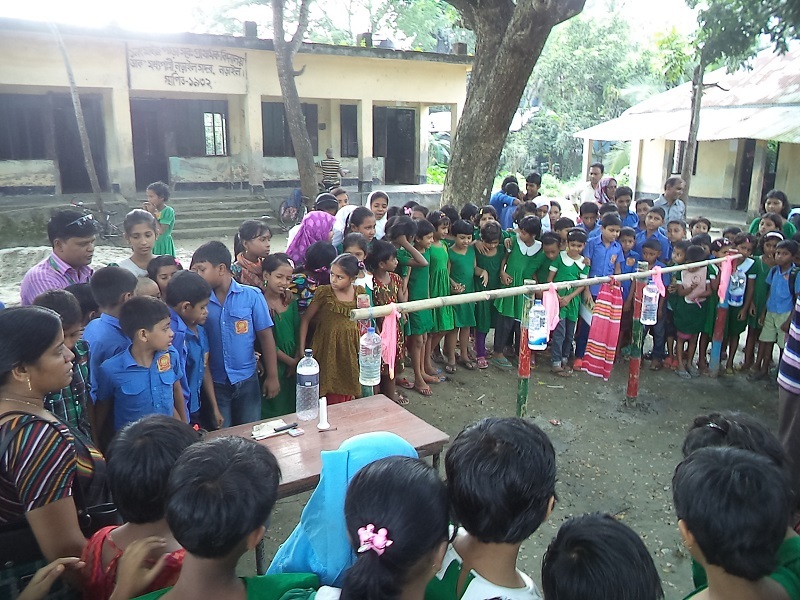 SPRING/Bangladesh recently partnered with Sisimpur, the Bangladeshi version of the television series Sesame Street, to produce nutrition and hygiene videos for young children. 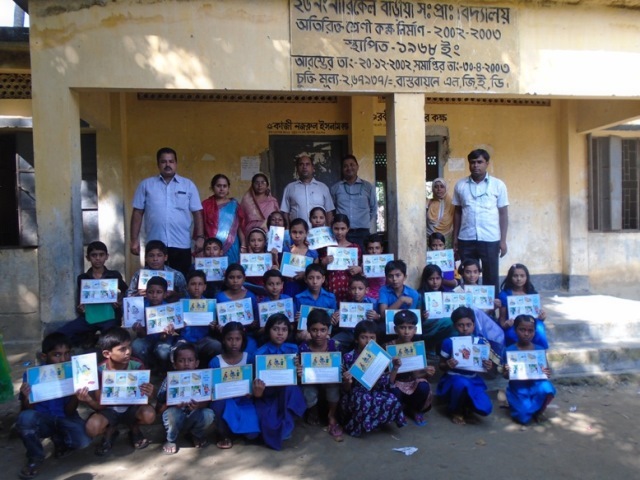 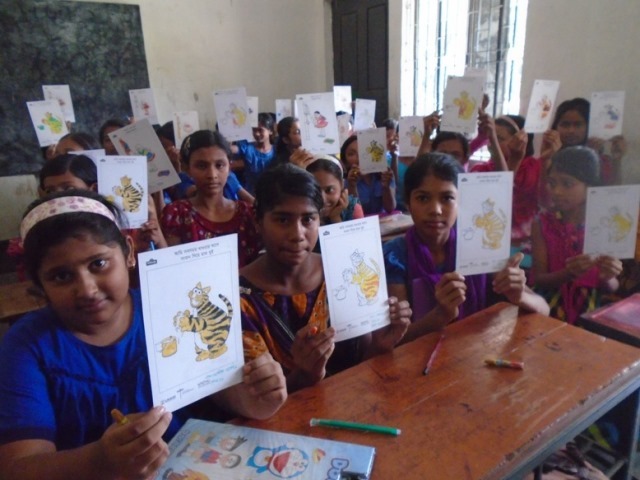 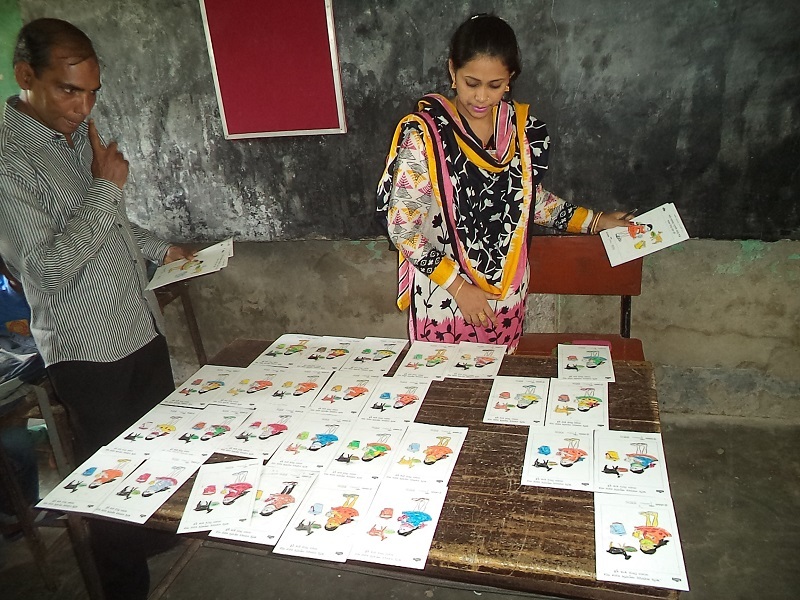 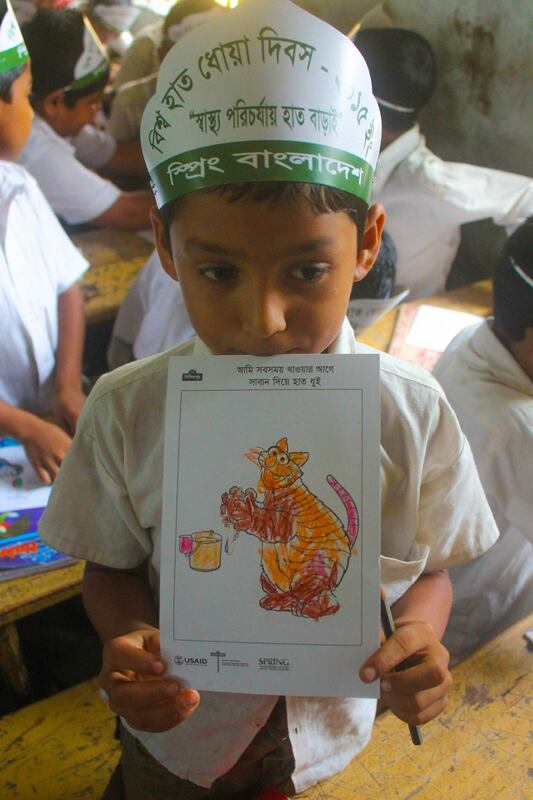 For this year’s Global Handwashing Day, SPRING distributed coloring materials featuring different Sisimpur characters for the children and screening short Sisimpur clips focused on handwashing in primary schools. 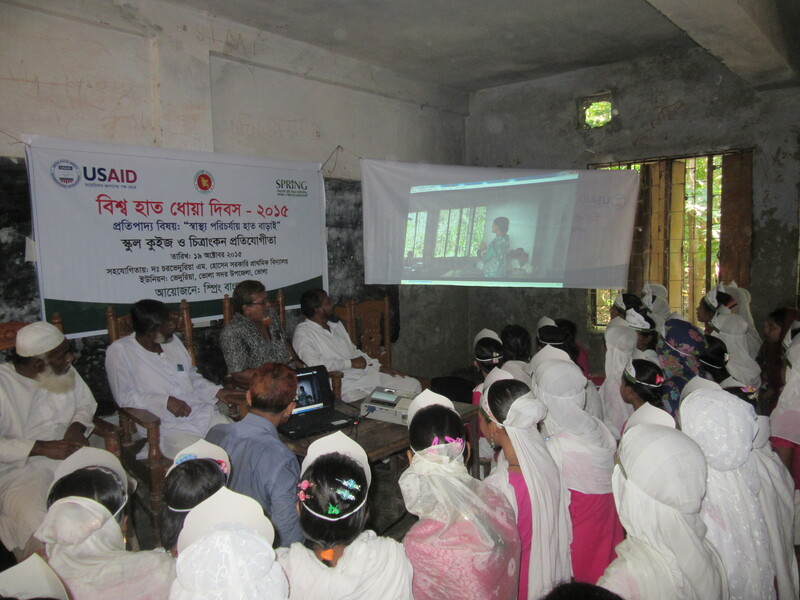 SPRING also partnered with the USAID NGO Health Service Delivery Project (NHSDP), which runs the Smiling Sun Network with a network of nearly 400 static clinics. 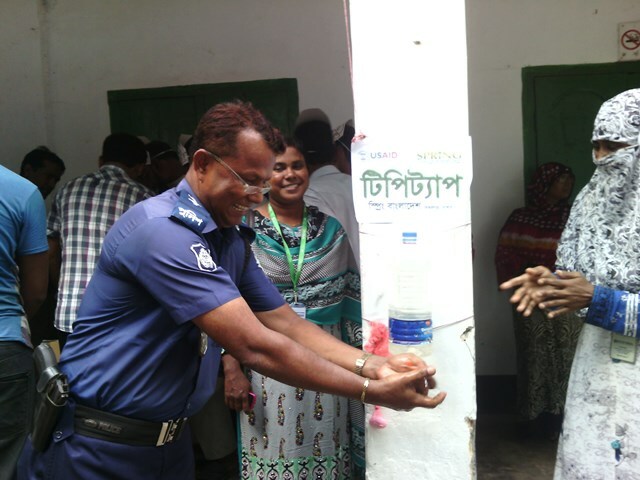 SPRING/Bangladesh staff visited many of those clinics in Khulna and Barisal to help demonstrate the "tippy tap" (a simple handwashing station) as an easy and cost-effective solution and to show proper handwashing techniques. 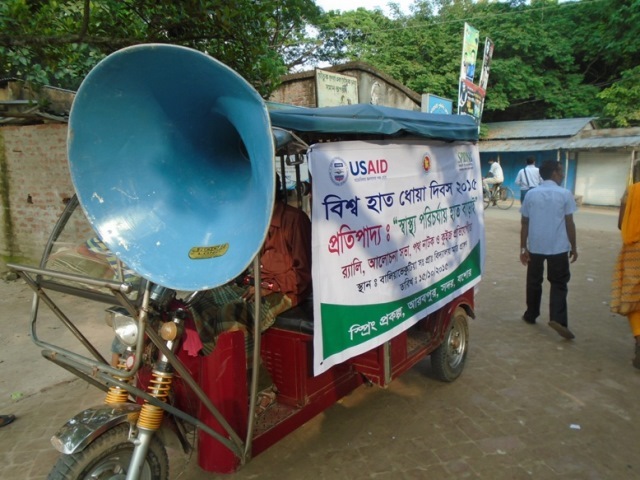 In addition to these two events, SPRING/Bangladesh organized technical discussions, set up special tippy tap demonstration stations, held “miking” events (using microphones to transmit messages), and organized marches and rickshaw rallies in their working areas. 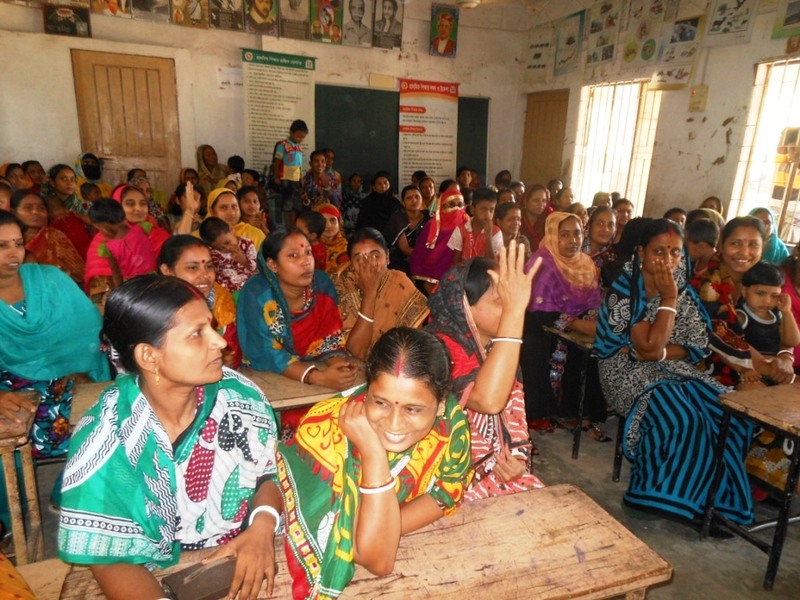 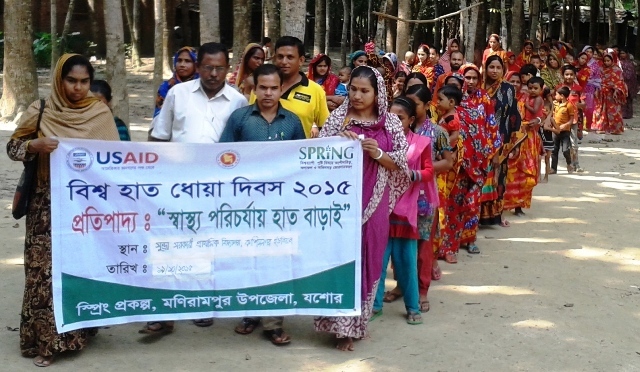 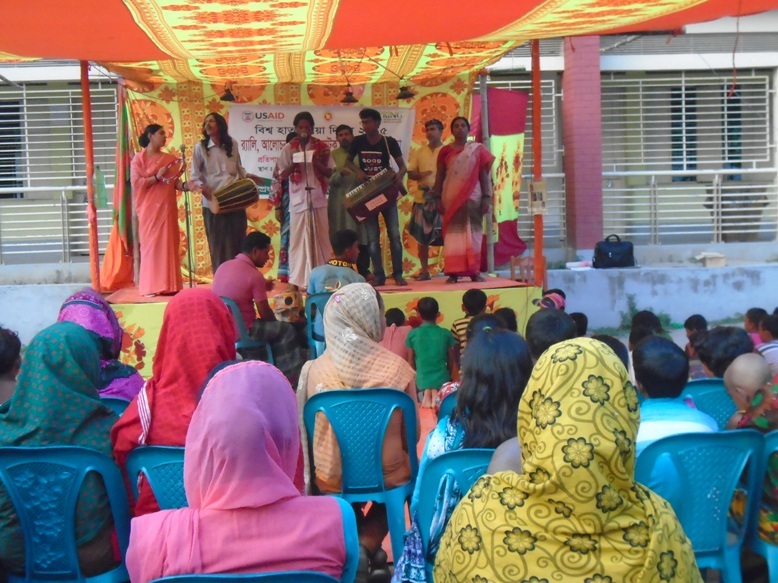 SPRING has been working in Bangladesh since March 2012 with the goal of improving maternal and child nutrition through support to the Government of Bangladesh and its direct interventions with rural communities. 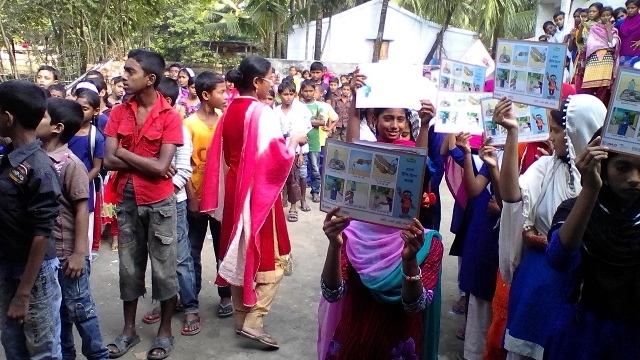 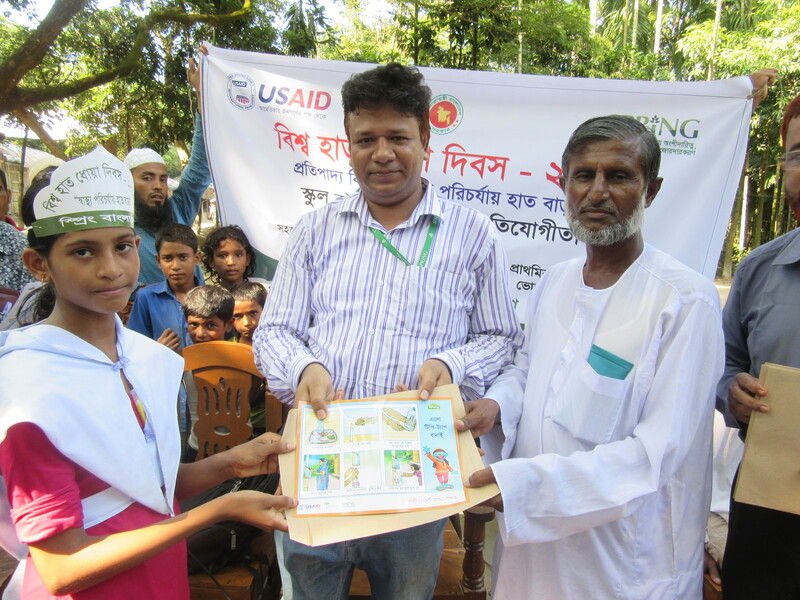 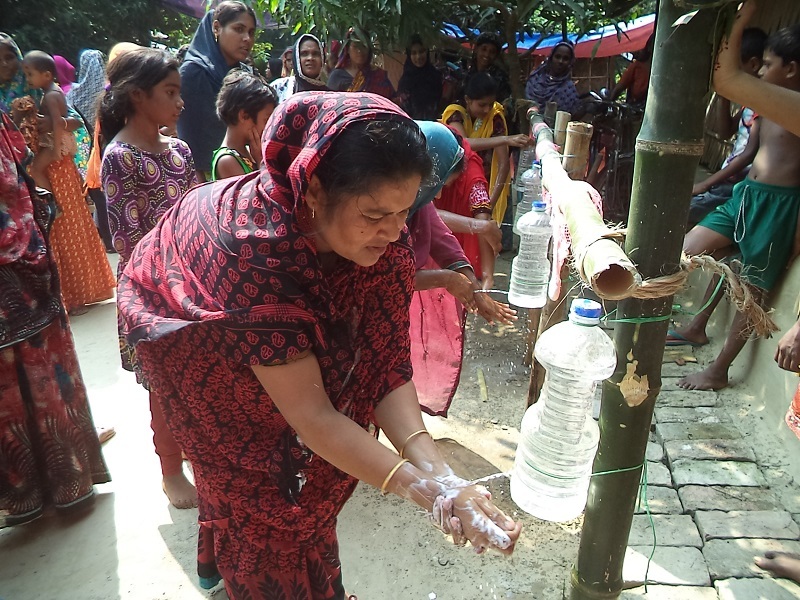 The foundation of all of SPRING/Bangladesh's work is the essential nutrition actions and the essential hygiene actions, which form the basis for its important health messaging. 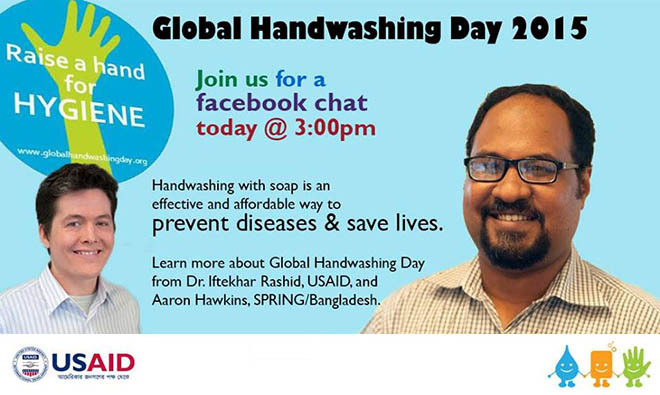 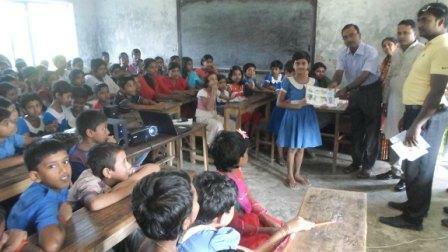 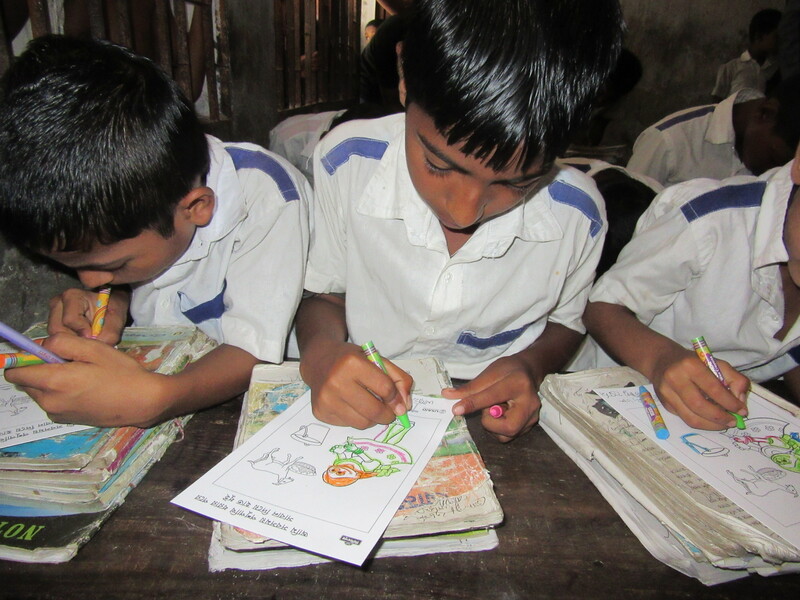 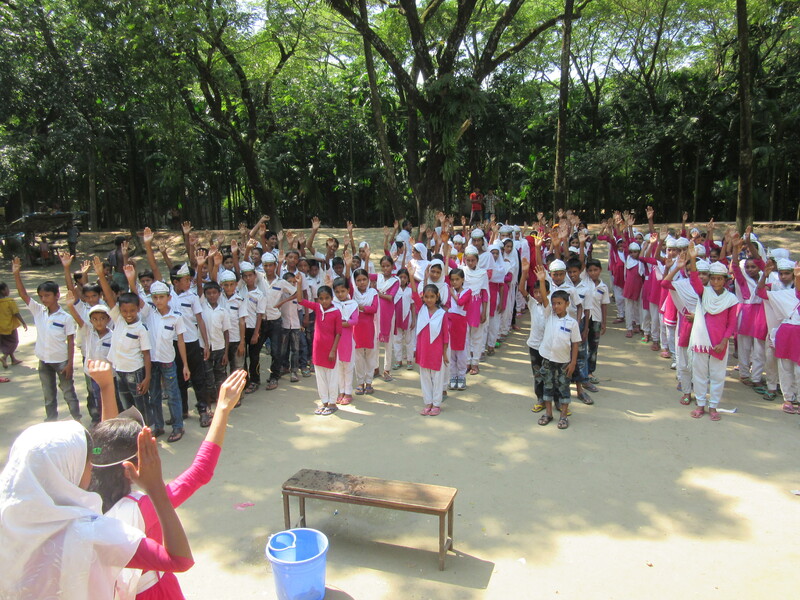 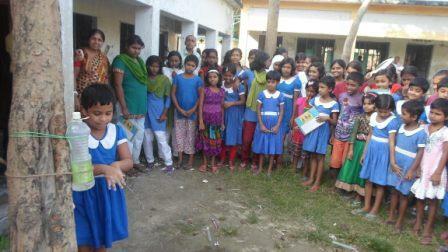 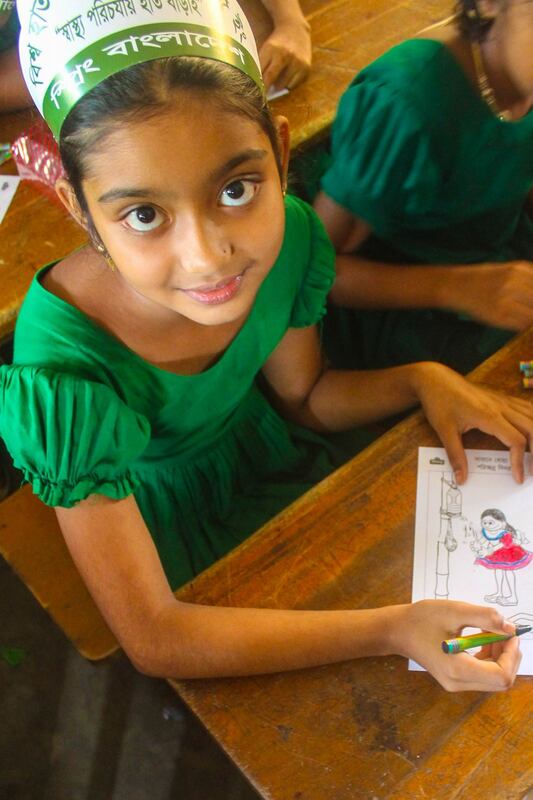 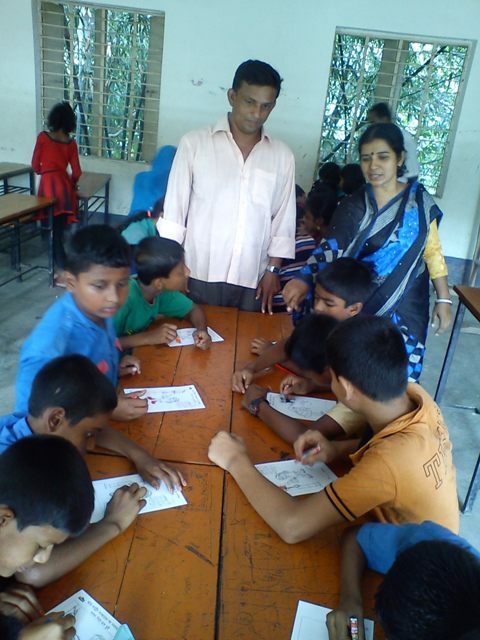 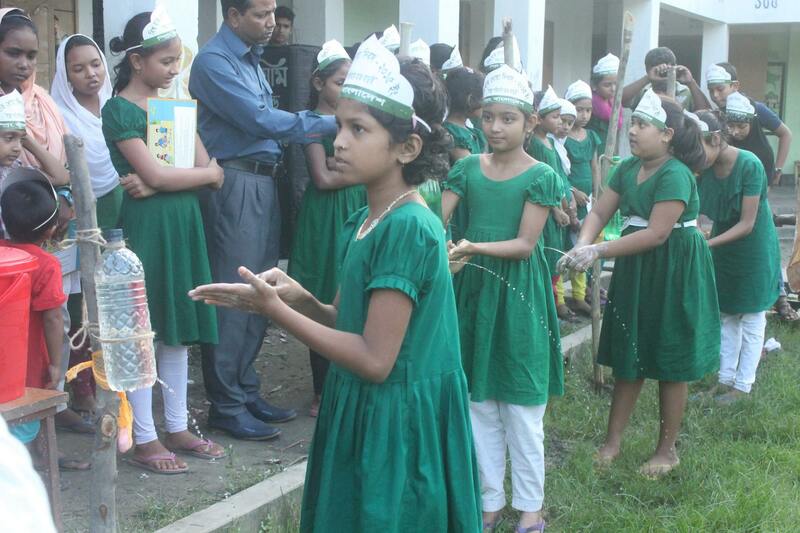 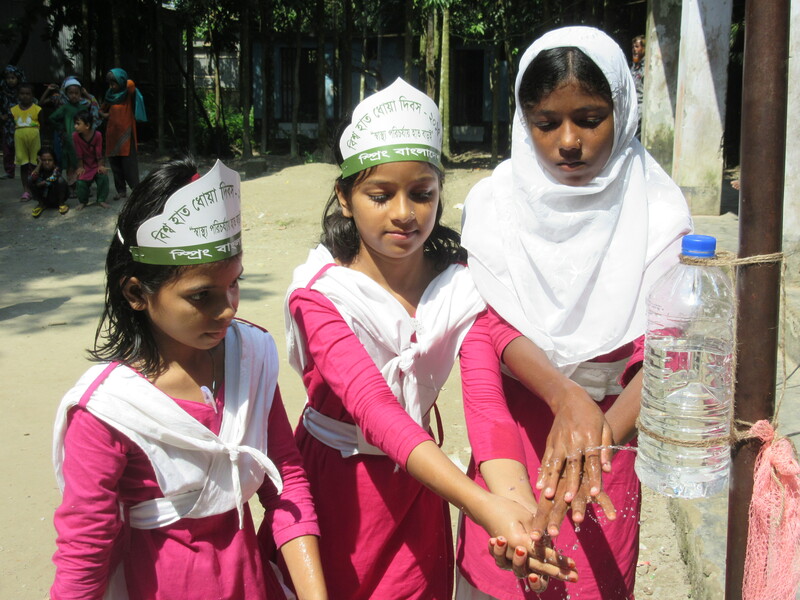 Hygiene is a critical issue in Bangladesh and an important component of ensuring good early child development. 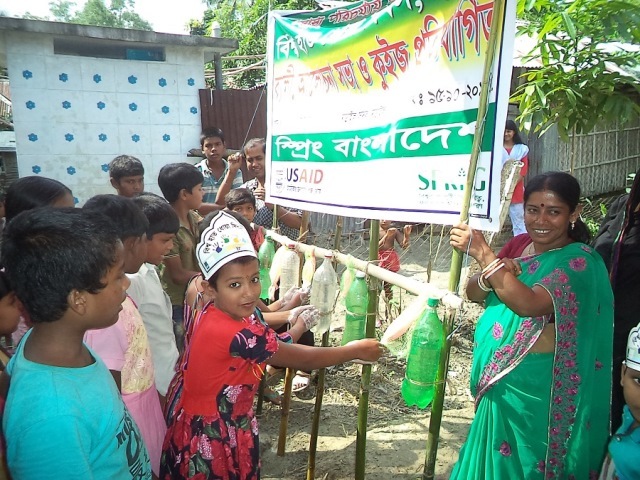 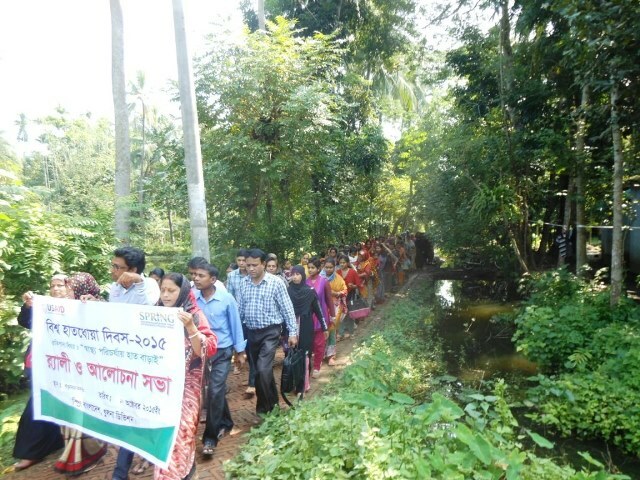 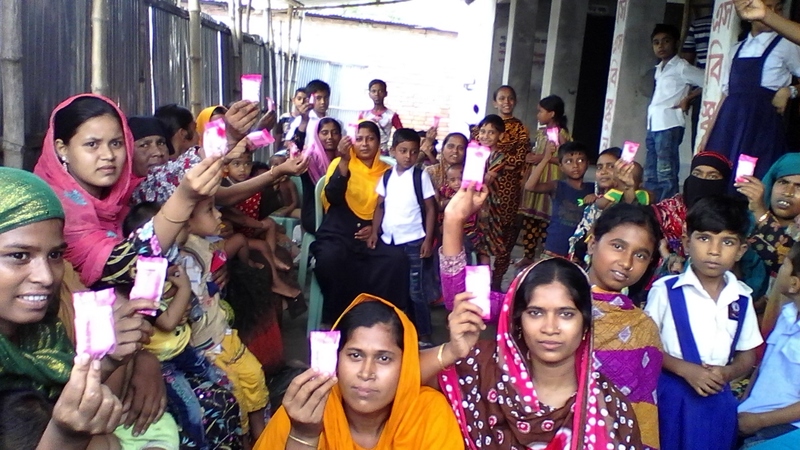 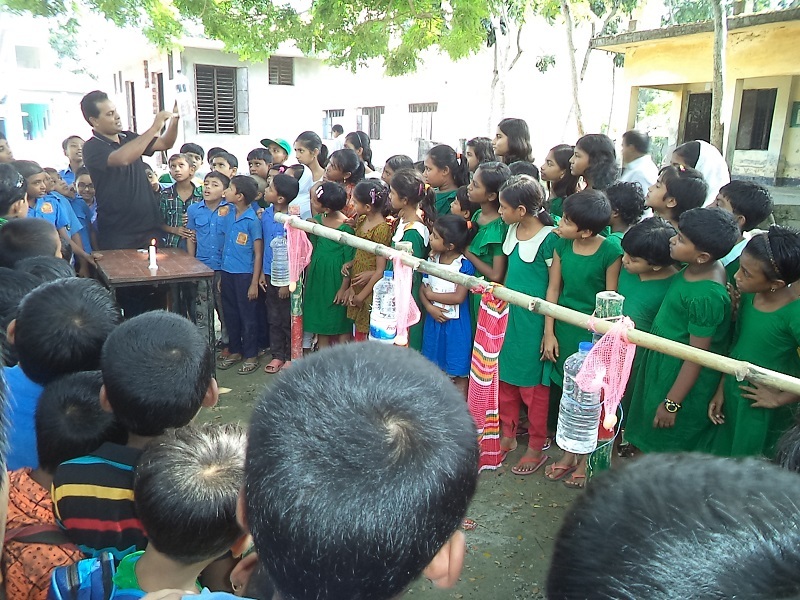 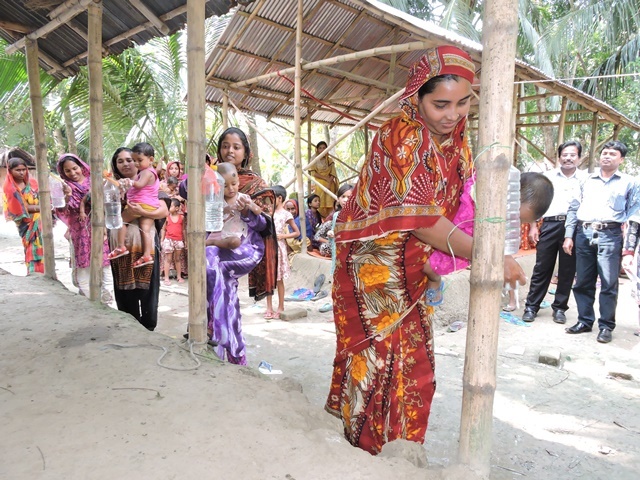 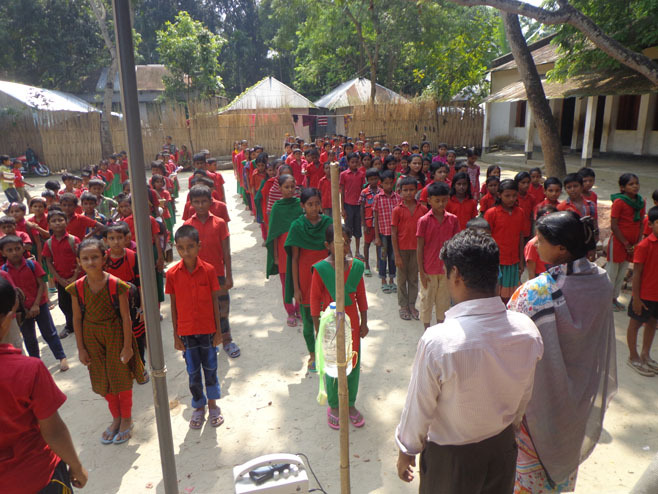 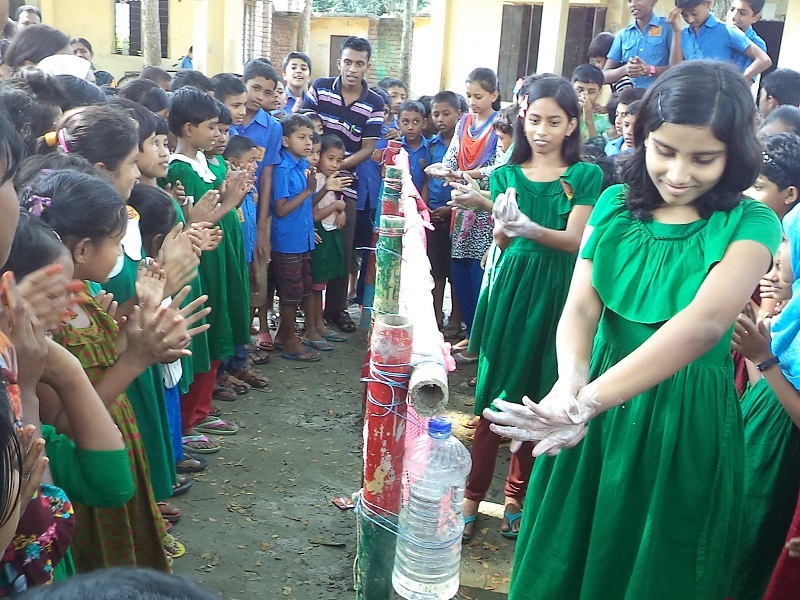 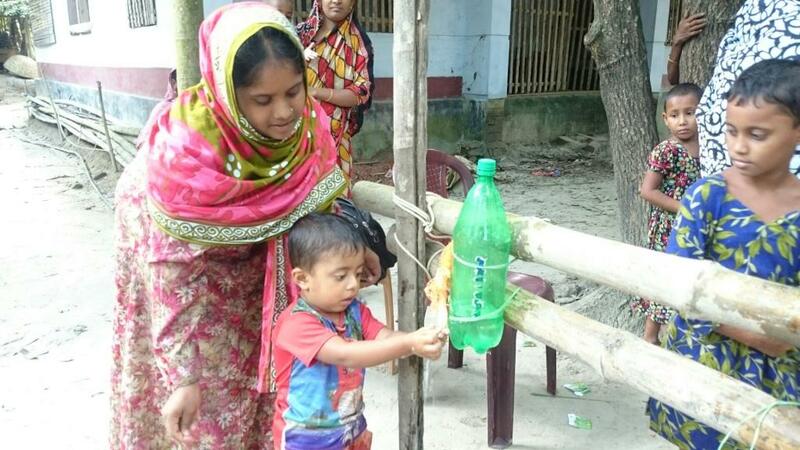 SPRING works across 40 upazilas in Bangladesh and, as part of its hygiene work, promotes the use of tippy taps, which are promoted at all frontline government health facilities in all the communities where it works.